Nicaragua is home to one of the oldest cathedrals on the continent, waterfalls, volcanoes, beaches, undisturbed rainforests, and an unrivaled history and culture. 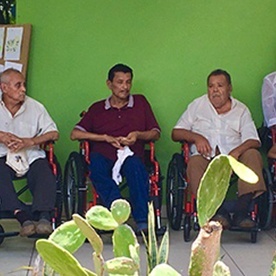 Gran Pacifica is proud to celebrate its largest and most successful social responsibility projects to date - the opening of the Roberto Clemente III Clinic and the donation of 270 wheelchairs! Pam Leblanc visits NLand Surf Park in Austin, Texas having finally graduated the intermediate wave. Leblanc describes the experience: “In a nutshell? Wheeee!” Leblanc plans to take surfing more seriously by attending an all-women’s surf camp, Surf With Amigas, in Nicaragua next summer. Costa Rica held its annual surfing championship, crowning twelve-year-old Valentina Resano from Nicaragua, and Jason Torres from Jacó, Costa Rica the 2017 National Surfing Champions. Resano and Torres beat out 179 competitors from the North, South and Central Pacific, and the Caribbean regions of Costa Rica. 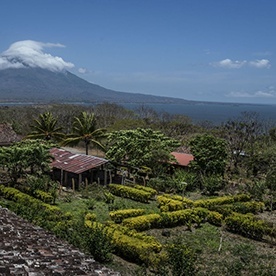 Nicaragua’s unparalleled natural beauty is hiding in plain sight according to Luis Carlos Lopez, a Nicaraguan writer for What’s Up publication. 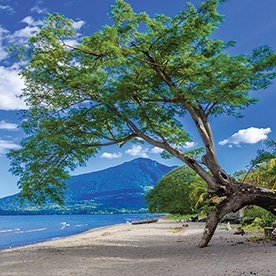 Whether you’re interested in scaling volcanoes, relaxing on a beach or visiting one of Nicaragua’s unique islands, discovering the incredible culture and heritage of the country, or chasing waterfalls, Nicaragua will not disappoint. The region’s visitors are taking notice - quickly developing the country into one of the most popular destinations for tourists. However, the uptick in industry will soon drive up the cost of visiting, so now is a good time to plan your trip! In fact, the Nicaragua Tourist Board has been recognized for this success at the Experience Latin America conference in London last month. The Board was awarded the Latin America Achievement Award for “Sustainable & Responsible Tourism” in recognition of its “good practices of sustainability with all the sectors of the tourist industry.” Nicaragua contains 7% of the world’s biodiversity, establishing it as, truly, one of the most valuable environments in the world. In the vein of responsibility, Gran Pacifica’s continuous dedication to improving the lives of the people in Nicaragua has reached a new milestone. The resort is celebrating its largest and most successful project to date. A partnership between Gran Pacifica, the Managua-Tiscapa Rotary Club, and the NuView IRA organized the donation of 270 wheelchairs! Gran Pacifica has continued this good work by also opening the Roberto Clemente III Clinic, the first of its kind in the area. 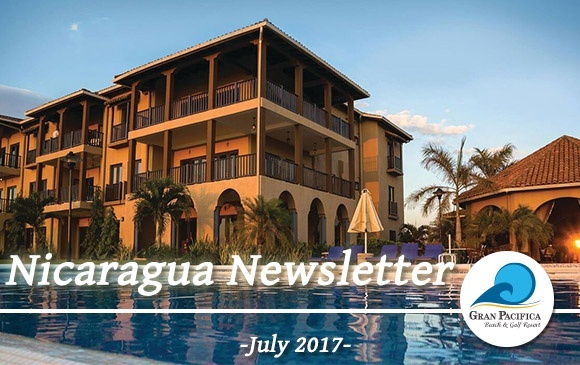 Visitors come to Nicaragua for a plethora of reasons, whether that be service, vacation, or some combination of both. 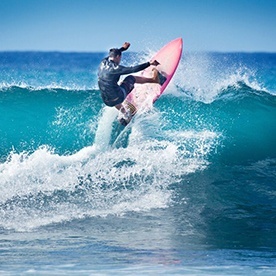 For instance, Pam Leblanc, a writer for Austin360, will be visiting Nicaragua for one of its incredible surfing opportunities. After visiting NLand Surf Park in Austin, Texas, Leblanc decided to “learn to surf for real,” at the all-women’s surf camp, Surf With Amigas. Costa Rica’s new surfing champions have been crowned! Congratulations to twelve-year-old, Nicaragua-native Valentina Resano for beating out 179 competitors from all over the region to earn the title of 2017 National Surfing Champions along with Jason Torres from Jacó, Costa Rica. In other Gran Pacifica news, our long time friend and business associate, Kent Payne, celebrated two major events; he turned 67 years young and retired from full time responsibilities at Gran Pacifica Corporate offices. He is not going anywhere, since almost a year ago he announced that very soon he would be leaving the day to day work at Gran Pacifica Resort and putting 150% of his efforts into the Playa Pacifica condo building. He will still be an effective ambassador not only for Gran Pacifica, but also for Nicaragua. He will be a part of national and international organizations that will continue to help Gran Pacifica move forward. Since the Gran Pacifica Resort and the Playa Pacifica condos are dependent upon each other, we will continue to work for mutual success.